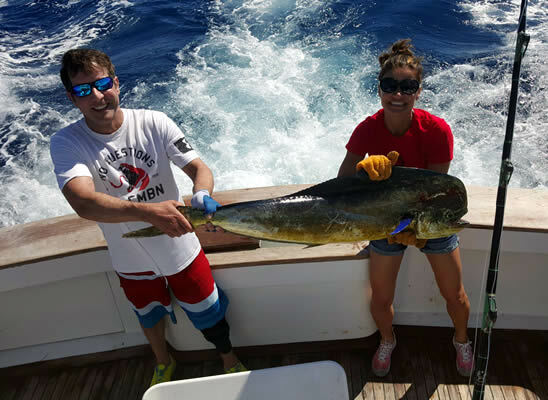 Captain Myjestic “Jessie” Anderson and her crew are ready to provide you with the Outer Banks offshore charter fishing experience of a lifetime! We are fully licensed and insured, and use only top of the line equipment so you can fully enjoy your time fishing. For tackle and fishing rods, we use only Penn™ and Shimano™ but if you prefer, you are always welcome to bring your own equipment. 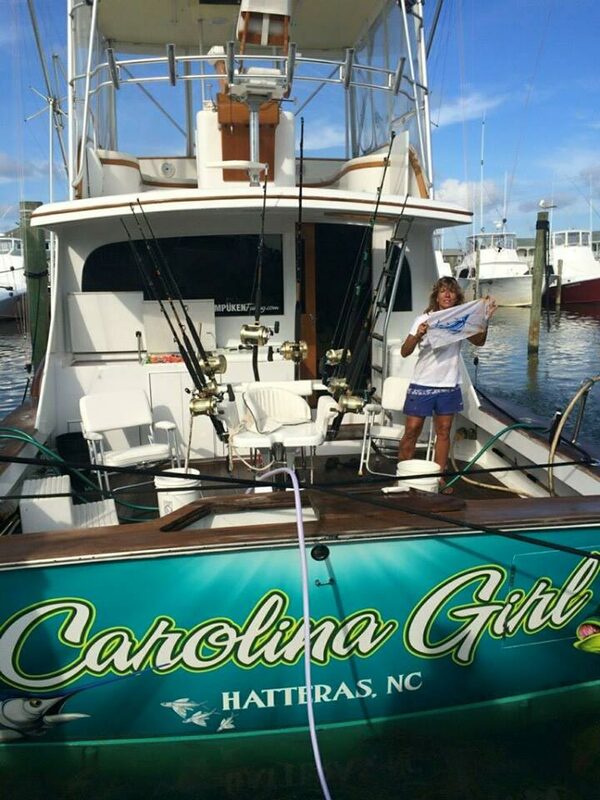 “Carolina Girl” is a 53′ Jarrett Bay Custom Carolina built In Morehead City, North Carolina, and considered to be one of the most luxurious charter fishing boats in all the Outer Banks. She features teak flooring, leather seating, granite countertops, microwave and refrigerator. The comfort is only enhanced with a carpeted salon, stereo systems, and beautiful woodwork throughout. Other features include generator powered air conditioning and heat throughout the entire interior and refrigerated boxes to keep your fish fresh! Once underway you’ll be sure to make it out to the Gulfstream in no time with her twin diesel engines. A huge fly bridge with state of the art electronics overlooks a spacious cockpit with a top of the line Bluewater fighting chair. To ensure a fishing adventure of a lifetime, the boat and tackle are kept in top notch condition for all our charter clients. 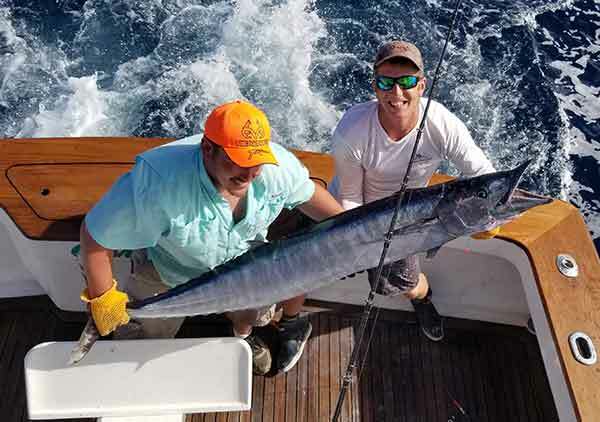 Rates for offshore fishing are available upon request, and are subject to change depending on the season. 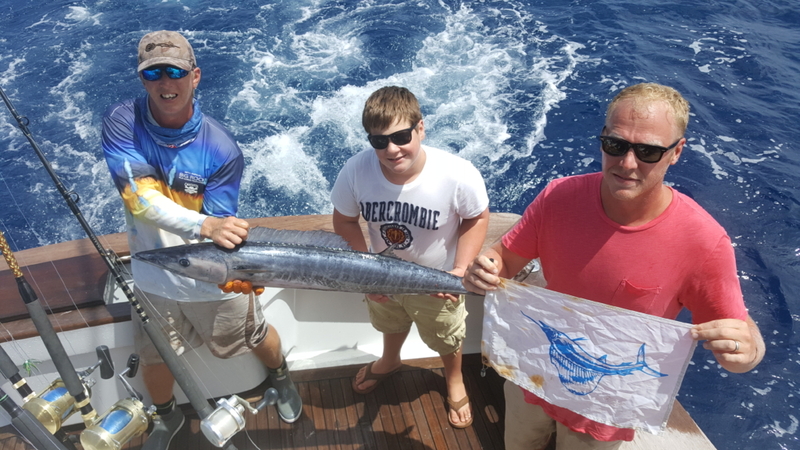 Click to email us for a quote or to book your next charter!